Concealers are concentrated foundation with a high pigment content, giving complete coverage to problem areas. Concealers are a fast and effective way to disguise blemishes, shadows, scars and red veins, so your skin looks flawless. Follow these simple tips to conceal all your beauty problems effectively. When choosing a concealer look for the colour that is closest your own skin tone rather than a lighter one. Covering a problem area with a paler shade will only accentuate it. The ideal solution is to use a medicated stick concealer as this contains antibacterial ingredients to dry out the pimple. Only apply the concealer on the pimple or blemish itself, as it can be quite drying and then smooth away the “edges” with a clean Q tip. 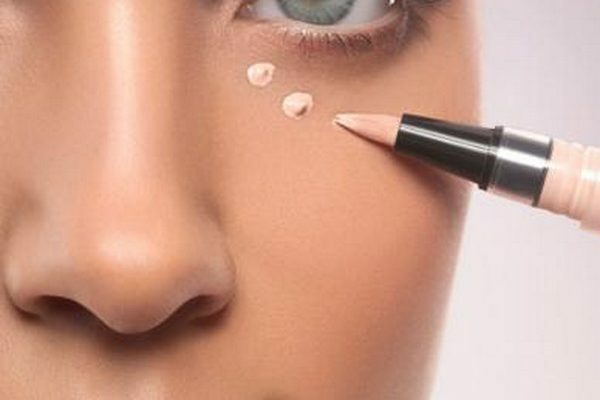 Applying concealer all around the area will make it more noticeable. Opt for a creamy stick concealer or a liquid one, as dry formulations emphasize fine lines around your eyes. If you’re blending with your fingertips, use your ring finger, as this is the weakest finger and less likely to drag at the delicate area around your eyes. Scars, including old acne or chickenpox marks, can be effectively covered using a concealer but it can be a time-consuming process. Begin by building the indentation up to skin level by dotting on layers of concealer. This is best applied using your detailer brush. Take your time and allow each layer to settle into the skin properly before you apply the next one. Stick or liquid concealer is ideal for tackling this problem. Apply a layer of concealer over the area with your pixel point eyeliner brush then carefully feather and soften the edges to blend them in and make them less noticeable. Always apply your concealer after you have applied your foundation as most foundations will have enough coverage and you will only have to apply to the darker areas of your face.